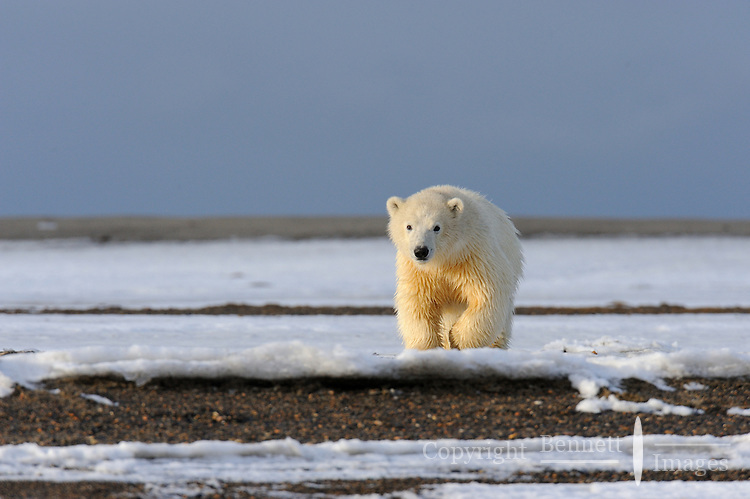 A polar bear cub is lit by the evening sun as it walks along the barrier island near Kaktovik, Alaska. Every fall, polar bears gather near the community, on the northern edge of ANWR, waiting for the Arctic Ocean to freeze. The bears have become a symbol of global warming.